Just saying that conjures images of heartache and pain. 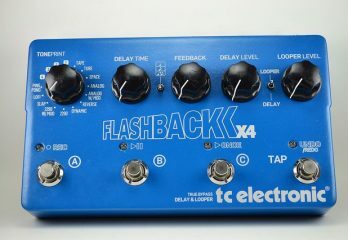 But, it also recalls a sound and feeling that could only come from a guitar. While blues music has evolved over the decades, the roots have never been forgotten. Guitar-makers from all over the world have studied the guitars played by famous blues artists. There is something so real about the blues sound. Legendary blues musicians have been one of the leading catalysts in guitar innovations. As the blues grew and prospered so did guitar manufacturers. The only question left is, which blues guitar is the right one for you? Lucky for you the thrill isn’t gone. We have got the best blues guitars available today. 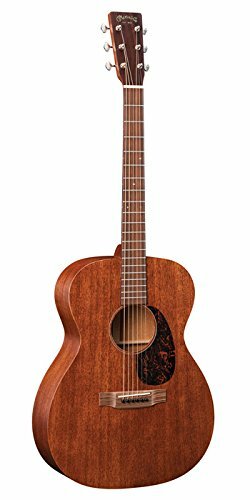 One of Martin Guitar’s best-kept secrets, this acoustic guitar is pure mahogany beauty. The top, back, sides, and neck are all 100% mahogany. The fretboard is a beautiful rosewood. The warmth and beautiful tone of a pure mahogany body cannot be overstated. An acoustic guitar made with this much mahogany is exceptionally rare nowadays. It is also why this guitar is in the higher price range. Mahogany is not cheap nor plentiful. Back in the day, blues guitars were almost exclusively made of mahogany. It was the wood that contributed so much to the early blues sounds. It is warm and rustic sounding with lots of resonance. This acoustic is no different. Its tones can only be described as Classic Americana. But, what does that mean? Classic Americana is what the grandfathers of blues sounded like. Think Leadbelly or Robert Johnson and you will have a pretty good idea. That’s the intention behind this guitar. It was designed to pay homage to and recreate the first incarnations of the blues. The body is slightly smaller than standard acoustic guitars. With a reduction in the size comes even more tonal acuity. Your blues scales and riffs will shine with sorrow and splendor. A great guitar for finger-pickers, but also for those who use a bottleneck slide along with their fingerpicking style. The finish will rub off over time making it seem more aged. And it will have an overall appearance of a guitar that has been there and done that. Body and neck are made of mahogany. Captures the earliest blues sound and tone. Slightly smaller body size for more clarity in tone and attack. Great for fingerpicking styles and bottleneck slide. No other kind of guitar says “Blues” more so than a hollow-body electric. This is a limited edition of the ES-335 that first took the stage in the late 1950s. At the time it quickly became a favorite among rock and roll players. It had a look and feel that were reminiscent of the vintage solid body Les Paul guitars. The ES-335 PRO is not just a chip off the old block. It is a guitar that takes you back in time to when Epiphone was honing their craft at their factory in Michigan. This guitar features an arched top and back made of maple, with two F-shaped sound holes for increased sustain and resonance. A double-cutaway mahogany neck with a rosewood fretboard, twenty-two jumbo frets, and small block inlays. This guitar is a near picture perfect remake of the original. The pickups are Alnico Classic Pro Humbuckers which were not found on the original. This is where the past meets the present. These are powerful pickups, and they produce tones rich with warmth and fullness that matches so well with the Blues. The coil split lets you easily switch between neck and bridge pickups, or bellow away with both. Each pickup has its own volume and tone knobs, making this a very versatile guitar. 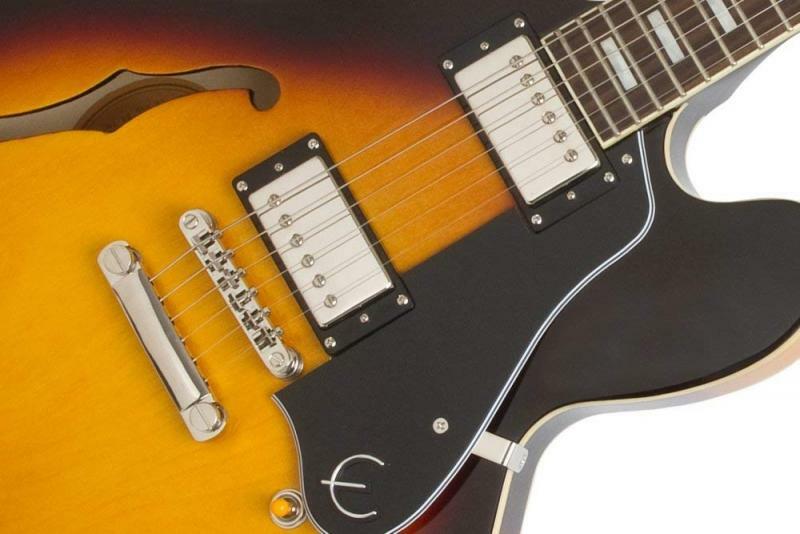 Combine humbuckers with a hollow-body guitar and watch out. Hold and bend on a single note and you’ll practically hear your heart break during those long wails. The bridge is a Tune-O-Matic model that can be easily adjusted to raise or lower the action of your strings. This bridge plus the stopbar tailpiece are designed to add untold amounts of sustain to the guitar. Vintage Wilkinson tuners and a sunburst finish are the final touches on a modern guitar that is devoted to its roots in blues history. 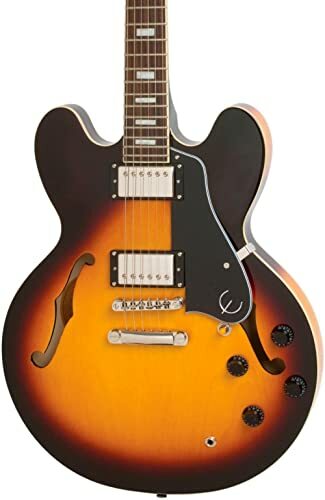 Limited Edition remake of the original ES-335. Action can be adjusted easily. No longer made in the US. Jumbo frets tend to have rough edges. The American Special Series Stratocaster HHS has taken a classic guitar and given it some modern flair. An affordable American-made Fender that is great for any kind of musical genre and style of play, but holds a special place in the legacy of blues guitars. The body is solid alder in a gorgeous 2-color Sunburst, and the neck is maple with a lovely Satin finish. The fingerboard radius is 9.5’’ and has 22 jumbo frets. Fast, smooth action up-and-down the neck, the 9.5” radius offers greater playability and greater amounts of string bending. 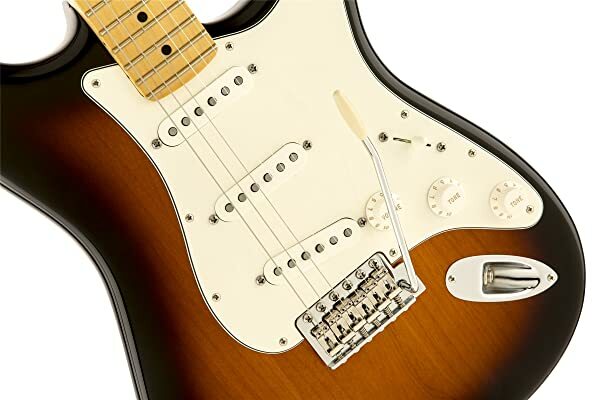 The Special Strat features 3 Texas Special single-coil pickups. You can easily dial in any kind of tone you want with these pickups. Combined with Fender’s own Grease Bucket Tone circuit that rolls off the high frequencies without adding any extra low-end, the Texas Pickups can howl and bark from sunup to sundown. Another feature is Fender’s own Synchronized Tremolo. You may know this by its other name, “Whammy Bar”. Quickly and easily vary your pitch with as much or as little range as you like. If you are looking for a blues guitar with all the chops, but is still able to get down with the latest in funk and pop musical styles, the American Special Stratocaster will never fall flat. Unique Stratocaster tone and sound. Alder body and maple neck. Whammy Bar can get in the way when not being used. Get some serious satisfaction with the Squier Classic Vibe Telecaster. And, don’t let the “Squier” label put you off. It may not be a top of the line American-made Fender, but it has all the soul, style, and twang which vintage telecasters are best known for. A semi-hollow body design that is made for hot blues and rocky twang. A mahogany body with a luscious natural finish featuring a single F-shaped sound hole. A semi-hollow body guitar is going to have more resonance and sustain than a solid body guitar. 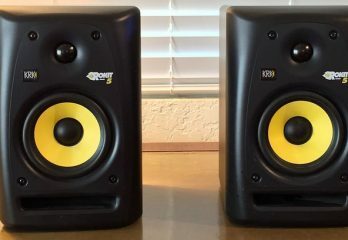 With just a seemingly minor difference in construction, you get a whole lot more in sound. That little bit of hollow space adds extra resonance for the pickups to catch. It also helps kick back some of the vibrations to the strings themselves, giving you a longer and fuller sustain. The neck is maple with a gloss finish, 21 medium-jumbo frets, plus that smooth and fast 9.5” fretboard radius common among Fender models. The bridge is the classic Telecaster design. A vintage ashtray bridge with String-Thru-Body and three chrome barrel saddles. Alnico V magnets power up two single-coil pickups. These are modeled on the vintage Telecaster pickups where the neck pickup is a sleek chrome-covered soap bar shape. An aesthetic distinction found on Telecasters. But what does the Fender Classic Vibe Telecaster Custom sound like? The sound is warm and clear, but with plenty of punch to ratchet up the twang. Like all other Telecasters, the clean sound is sublime and heavenly. Crisp and bright with just the right amount of low-end lifting up the bottom. When it is time to turn it loose, this Telecaster more than lives up to its family traditions. Gritty twang that is painful and pious all at once. You don’t need distortion with this guitar. A little bit of overdrive and you’ll be moaning and hee-hawing until the cows come home. Thanks in part to both the Alnico magnets and the semi-hollow body design. At a very great price and true to the sound of its forefathers, this Telecaster is likely to become a classic of its own in 50 years. Super-fast and smooth maple neck. Vintage Telecaster sound and tone with an incredible twang. Alnico V Classic Tele pickups. Perfect for blues and country music styles. Fret edges are a little bit rough. All the signature sound of a Les Paul without the hefty price tag. 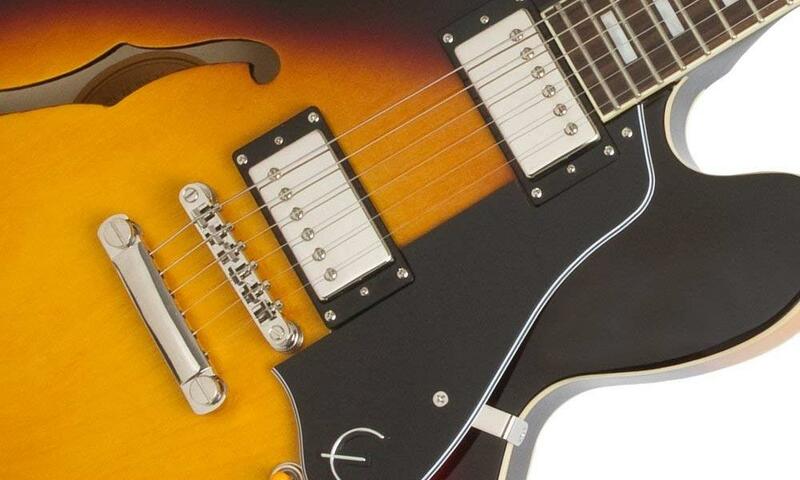 Epiphone has been producing low-cost, high-quality guitars modeled after some of the most popular Gibson design for decades. The Epiphone Les Paul looks and sounds so much like the real thing, no one could blame you for a case of mistaken identity. With two Alnico Classic Humbucker pickups, you will get all the warmth and full tone associated with the original Les Paul model. Powerful and capable of incredible sustain, these pickups were designed to rock and roll. Each pickup has a dedicated volume and tone control knob, which allows you to craft how much high and low-end presence you want. A blade-switch selector for when you need to rip into a solo or drive the bus with a steady rhythm. The body is mahogany with a maple veneer top. A rosewood fretboard on top of a mahogany slim-tapered profile neck that provides you with the same feel and speed that Les Paul guitars are known for. Both the body and neck have ivory binding, and trapezoid inlays along the fretboard give this guitar that classic Les Paul appearance. The Black Satin finish puts the finishing touch on one absolutely lovely instrument. Grover tuners, Tune-O-Matic bridge, and stopbar tailpiece are the icing on the cake. An iconic guitar in terms of look, feel, and sound. Les Paul sound and tone. Mahogany body and neck with a maple veneer top. The slim-tapered neck is not good for bottleneck slide. Connecting the past with the present. The Gretsch Boxcar is a standard resonator guitar based on designs from 80 years ago. A great-sounding resonator that preserves the authentic tone of early spider resonators. Resonators are synonymous with the blues. Before the invention of the electric guitar and amplifiers, resonators ruled the roost. Their unique design produced sounds of haunting elegance and tortured souls. The G9200 has a mahogany top and body with two F-shaped sound holes. This guitar features a round neck made of mahogany and a fingerboard made of rosewood. All with a natural finish to bring out the grains in the wood. Inside is Gretsch’s very own hand-spun Ampli-Sonic spider cone and bridge. Spider cones are known for their layered and rustic tones. Bright and thick, these cones were all the rage among early blues artists. The fan-slotted coverplate, open-back Grover tuners, and Pearloid-platted head complete the look of a vintage resonator guitar. 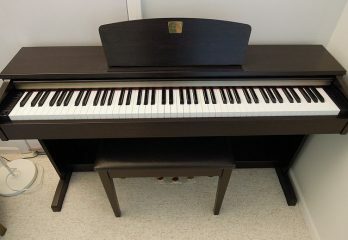 A very well-balanced instrument that has plenty of natural volume and dynamics. 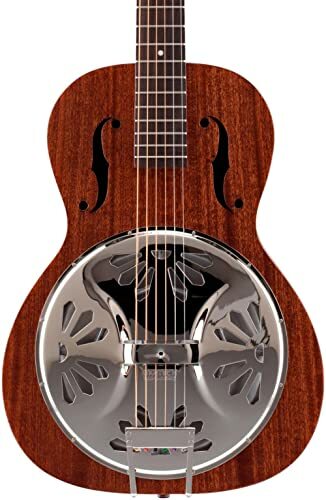 Reconnect with the heart and soul of blues music with the Gretsch G9200 Boxcar Resonator. Authentic resonator sound and tone. Assembled in China, so craftsmanship may not meet American/European standards. Loaded with professional features but made with beginners in mind. The Squier Affinity Telecaster is a tribute to the first solid-body electric invented by Leo Fender. The Telecaster is an ideal guitar for those who are just starting on their journey into the magical world of electric guitars. This guitar features a top load bridge with six individual saddles. This kind of design reduces the angle the strings break over the saddles. The result is the slinky, twang tone and sound that Telecasters are revered for. It comes with two single-coil Tele Pickups. These pickups were designed to recreate that unforgettable sound of the first Telecaster. The early Telecasters were famous for their signature sound that was in part aided by these pickups. The three-way pickup selector, tone control knob, and master volume offer a wide range of tonal possibilities. The body is made of alder with a delicious Butterscotch Blonde finish. The neck is rock hard maple in a satin finish. The black, classic Telecaster pickguard and chrome hardware make this a real beauty to behold. Telecasters are immensely versatile. From sullen blues to lively rock-a-billy, they have been influencing and innovating every musical genre for more than 50 years. Great tone and ample amounts of twang. String spacing is a little bit narrow. Vintage tone on a Custom platform. 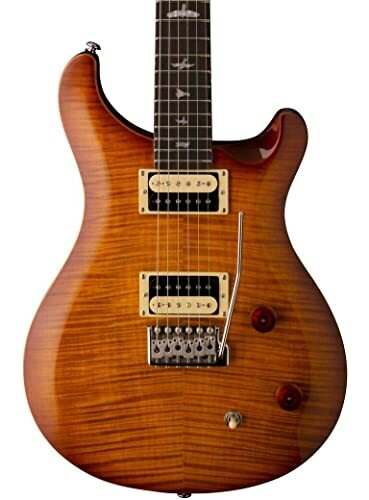 The PRS SE Custom 22 pushes out the mid-range and offers great clarity. Its tone is full and sweet. 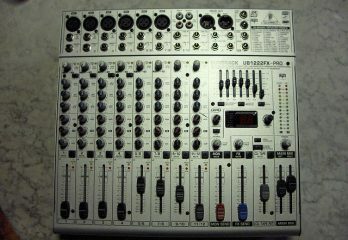 It doesn’t overpower the other instruments in the mix, nor does it hide in the shadows. When the time comes to take the spotlight this guitar has plenty of power. The pickups are custom humbuckers made by PRS but with a twist. Normally, humbuckers are accenting the bridge and/or the neck but the PRS pickups are designed to accent treble and bass. Humbuckers usually have a fullness to them, which tends to tamp down some of the mid-range tones. PRS humbuckers allow you to open up the mid-range when both pickups are being used. You will still get that thick humbucker sound, but with the added option to focus your tone on the low, mid, or high ranges. The three-way blade-switch makes it easy to shape how much of each frequency affects the tone. The body is made of mahogany, and it features a beveled maple top with a Flame maple veneer. The neck is maple and the fretboard is rosewood with 22 frets, bird inlays, and 25 inches in scale length. It is slightly longer than most electric guitars, which lets you hit some exceptionally high notes with precision and clarity. The bridge is a top load design and features a PRS-patented Tremolo bar. All the hardware, including the tuners, are nickel and custom made by Paul Reed Smith. Powerful mid-range tone and sounds. Not made in the US. The position of blade-switch is not easy to access while playing. 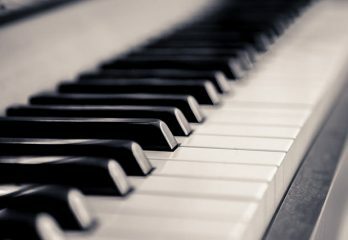 The Blues are typically divided into classical and modern styles. Classical blues was played on acoustic and resonator guitars, while modern blues is played on an electric. Classic blues is generally more mellow and melancholy, while modern blues tend to scream and stomp. If you are looking to play music by the likes of Blind Lemon Jefferson or Leadbelly, choosing an acoustic guitar or a resonator will better suit those classic blues songs. Conversely, if you want to wail like BB King or Stevie Ray Vaughan, an electric guitar will be the better fit. 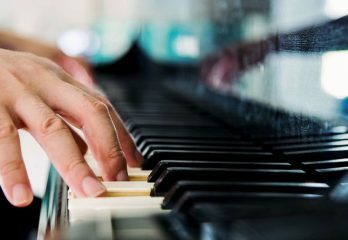 This not to say that Classic Blues cannot be played on an electric, and vice versa. It is just a little reminder about what sound and style you hope to capture. Your choice of blues guitar will have an impact on that. So, What Are The Best Blues Guitars? Every guitar we went over is an excellent choice for playing the blues. You really can’t go wrong with any of the ones listed. That being said, there is one that won’t be messin’ around. An amazing guitar that is rich in history and soul. With this guitar, you will feel like you own a piece of the past. 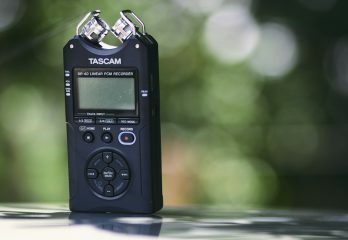 Not only does it sound like the original, but it also has added punch and modern technology built into the craftsmanship. From Chuck Berry to Gary Clark Jr., the ES-335 PRO is polished and distinguished. And at a very reasonable price, this guitar will have you down at the crossroads before you can say diddly. 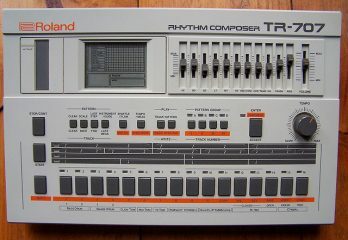 Truly a remarkable sound machine. The extra sustain and resonance from the semi-hollow body teamed up with Alnico V single-coil pickups takes the Tele Twang to new levels of musical redemption. Again at a great price and with a vintage sound, look, and feel this guitar won’t leave you waiting in vain. We appreciate you stopping by and checking out the best blues guitars. Now that you have a better idea which blues guitar is the right one for you, we are certain you’ll be cookin’ in the kitchen around the clock. Enjoy your new blues guitar and don’t let the hellhounds bite you on the way home.